Our hot tub services can prevent algae and bacteria from growing in the water. Having a hot tub at your Harrisburg, North Carolina home comes with many benefits. You can relax in the warm water to soothe your aches and pains, help you prepare to enjoy a good night’s sleep, increase blood flow, reduce inflammation, and even lower your stress levels. However, in order to make sure your hot tub is ready for use, you’ll have to take care of some important cleaning tasks. For some people, the thought of cleaning a hot tub is too overwhelming. That’s where our team at Cayman Pool & Spa comes in. We provide a variety of hot tub services for those in the Harrisburg area, including hot tub repair and cleaning. Hot tub repair may be a necessity if something in your tub isn’t working properly. 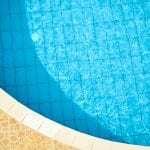 Hot tubs contain pumps, heating elements, and other components that may not last forever. If one of these parts breaks down, your hot tub could sit untouched for days or weeks at a time. Instead of losing out on the benefits of this soothing space, allow our team to fix the problem and get your hot tub up and running again. All of our hot tub services are provided by skilled and experienced technicians. We can keep the water in your hot tub clean and properly balanced, ensuring that it’s safe and ready for you to enjoy after a long day. Our hot tub services can also prevent algae and bacteria from growing in the water. Contact us today to learn more about the services we offer.